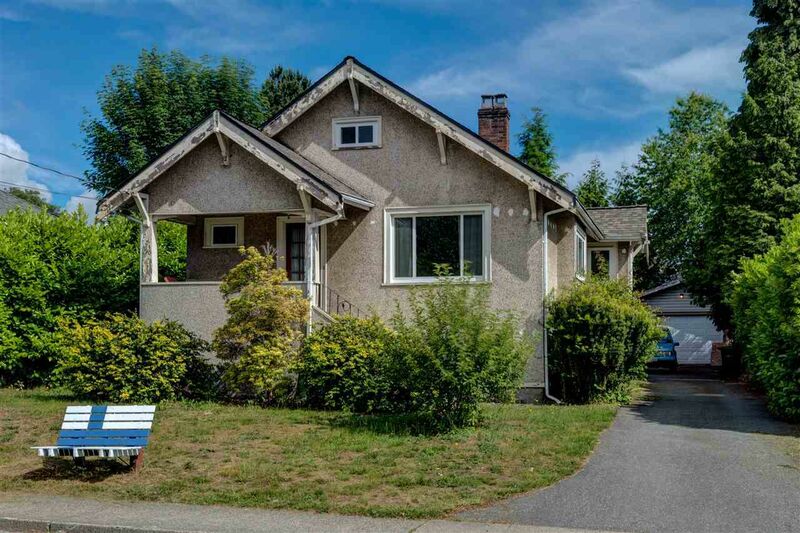 This little heritage charmer sits on a gorgeous 7800 sq. ft. lot a minute's walk to Queens Park. No heritage designation. Build your 3900 sq. ft dream home in the very sought-after, walk-able Glenbrooke North neighborhood of New Westminster. This livable home has nice heritage features: wood burning fireplace and mantle, original built-ins in dining room for your china, and fir floors on main. Mechanically updated with newer wiring, all vinyl double windows and a newer roof. Walking distance to everything, Herbert Spencer, Glenbrooke Middle School and soon-to-be newest high school in the province. Shopping, recreation and transportation are all an easy stroll from your front door. Walk score " 91".